Compact and easy to use 5-Stage HVLP Turbine. The Wagner FineCoat (FC) 9900 Plus is the latest and most powerful addition to Wagner’s line-up of HVLP systems and is the successor to the very popular FC9900. Providing the user with 10.5 psi of air pressure, this 5-stage turbine is one of the most powerful units available today. 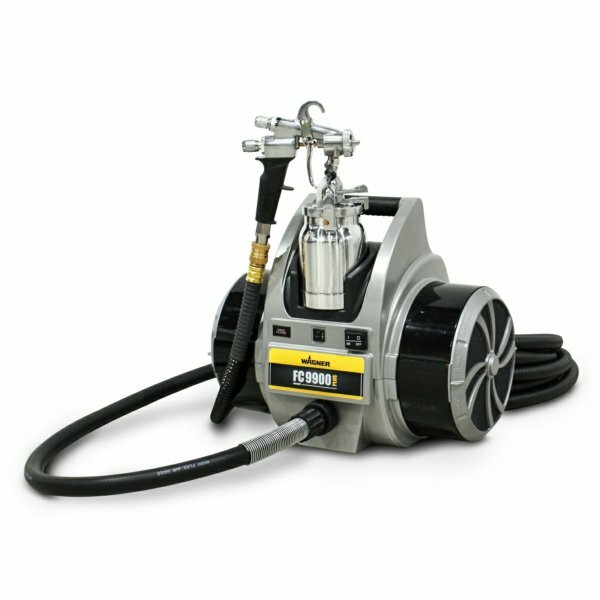 This unit is also supplied with Wagner’s latest Maxum II HVLP spray gun.